Bayern Munich midfielder James Rodriguez has hinted he would be keen to rejoin the Real Madrid squad at the end of the season, saying he "has everything" in the Spanish capital. The Colombia international is currently in the second year of a two-season loan spell from Madrid in Munich, and speculation has started to intensify as to where he will be playing his football in 2019-20. Speaking about his prospects to Cope's El Partidazo and Cadena SER's El Larguero (h/t Marca), the playmaker said he's happy to be patient. "In Madrid, I have everything such as my house and people who love me," he said. "We will have to see what happens, but at the moment I have a contract with Bayern Munich. I just want to finish the season, and we'll see what happens. I keep in touch with some Real Madrid players." While there have been times this season when Rodriguez has fallen out of favour with Bayern boss Nico Kovac, the midfielder was in the team on Tuesday as the Bundesliga side drew 0-0 with Liverpool in the first leg of their last-16 UEFA Champions League knockout tie. It was reported by Kicker (h/t Marca) in November that Bayern will not take up the option they have in the loan agreement with Real Madrid to make the loan deal for Rodriguez a permanent deal. That has ramped up the talk about where Rodriguez will go next. Speaking to Bild (h/t Football Italia), the player's father said recently that Juventus would be a "good option" for the former Monaco and Porto man, adding the Colombian is "very close to Cristiano Ronaldo." After a brilliant first season with Bayern, Rodriguez has found it tougher to make an impression in the second year of his loan in the main. There was talk earlier in the campaign that Rodriguez and Kovac had fallen out, although the Munich No. 11 dismissed that, per Bild (h/t Goal). Against Liverpool his influence on the game was minimal, as Bayern adopted a defensive tactical plan in an attempt to keep the likes of Mohamed Salah, Roberto Firmino and Sadio Mane quiet. It does appear as though Rodriguez will still have a role to play at Bayern between now and the end of the campaign, with the team in the hunt for the Champions League and now just three points back on Borussia Dortmund in the race for the Bundesliga title. 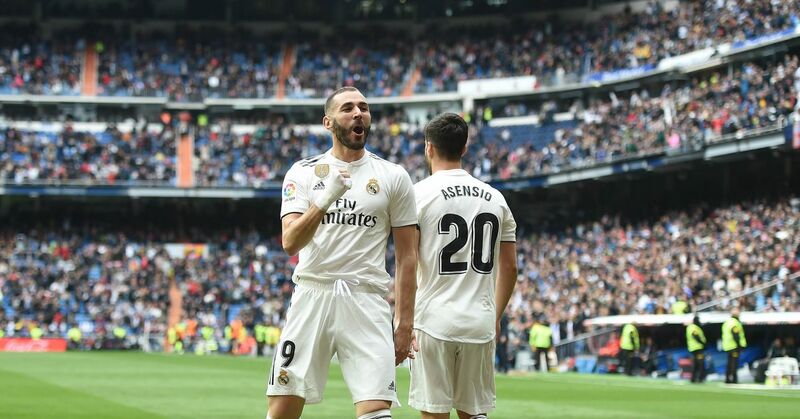 Whether it's to earn himself a permanent move to Bayern, a place in the Real Madrid squad next season or a transfer elsewhere, Rodriguez's stock would massively benefit from a strong end to the season.